Made from solid steel for hammer, axe, hatchet and other handles. 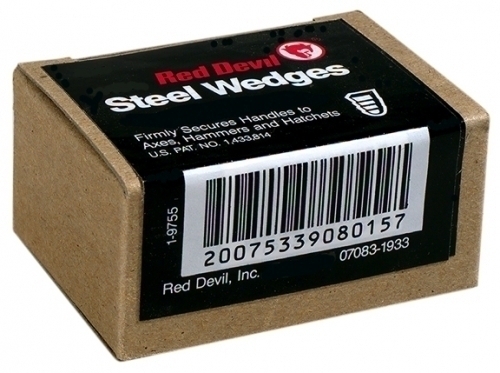 Exclusive barbed-edge prevents wedge from working loose from handles even under rough treatment. Won't chip or break. Product Details: #4, 5/32" x 13/16" x 7/16"